Combining aggressive looks with excellent control is the Yokohama Parada Spec-X tiees which is specially designed for heavier vehicles like SUVs, performance pickups and light trucks. 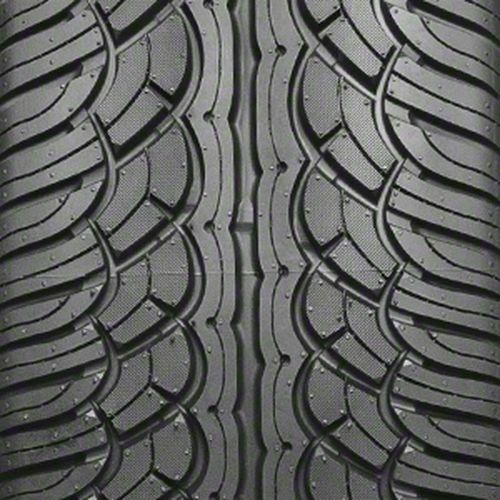 The tire™s ability to handle year-round traction makes it perfect for driving during various weather conditions, including light snow. The rim protector side wall protects the tires from damage with the added protection of dimples which help minimize heat buildup for longer tire life. 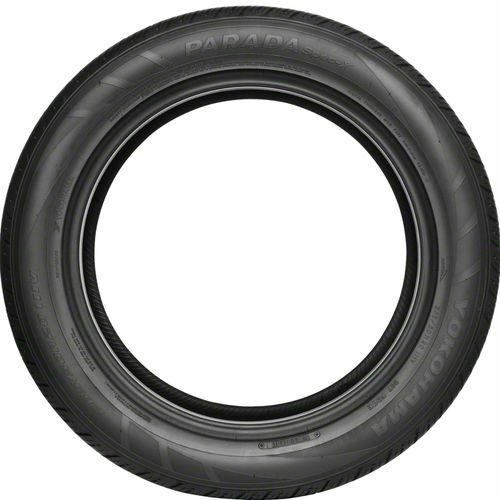 The Yokohama Parada Spec-X Tires features a unique multi-directional tread design giving it a distinct stylish look but also provides great acceleration and braking capabilities. It also prevents hydroplaning with its wide circumferential center groove. The curved center ribs improve grip in dry and wet weather while the circumferential center groove helps evacuate water efficiently. It provides an enhanced ride quality thanks to its variable pitch technology which reduces pattern noise; and because the tires wear evenly, you can enjoy lateral stability as you drive in the road. 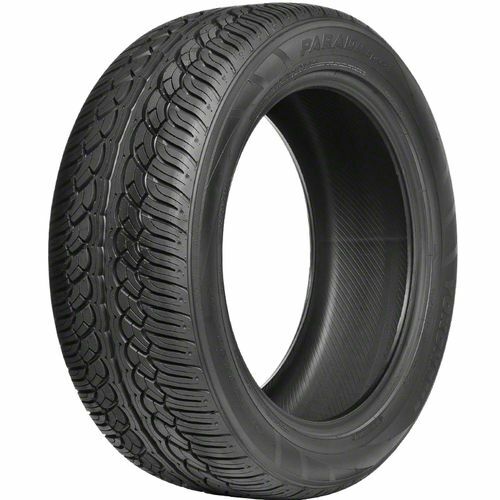 285/45R-22 420AA 2,601 lbs 50 psi 11/32nds 9.0 - 10.5" 11" N/A 32"
Purchase includes the Yokohama Parada Spec-X tire only. The wheel rim shown in the picture is not included. Picture provided is a stock picture from the manufacturer and may or may not reflect the actual product being ordered. 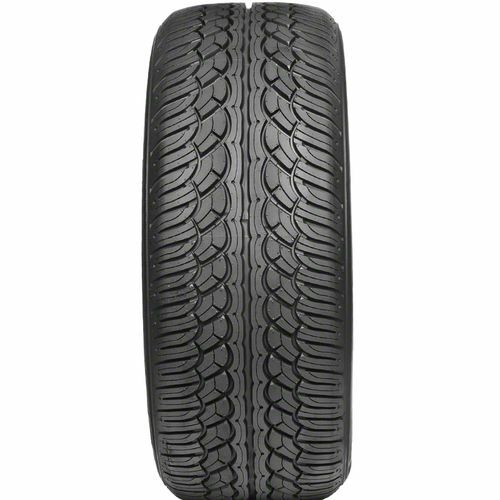 All Yokohama Parada Spec-X tires are continuously developing with manufactured improvements. With that said, Simple Tire and the manufacturers have the right to change these tire specifications at any time without notice or obligation. Please Note: Specifications of the Yokohama Parada Spec-X tires shown above are listed to be as accurate as possible based on the information provided to us by Yokohama tires. So far so good, very comfortable ride, great upgrade from Nexen tires, my SUV is heavy (Q7) and eat tites like crazy, I hope this last ay least a couple of years. By submitting a review, each person received a sweepstakes entry. I will ALWAYS reach out to Simple Tire for my purchases! This is the second time our family has used this company for our tire needs. Great selection and our tires were delivered to our door within two days! By submitting a review, each person received a sweepstakes entry.